Increasing prevalence of asthma in children across the globe has become a reason of worry for parents. Here are few tips for parents whose child has been suffering with asthma to help manage asthma in children. Asthma is a disease which may not be cured but can be controlled. 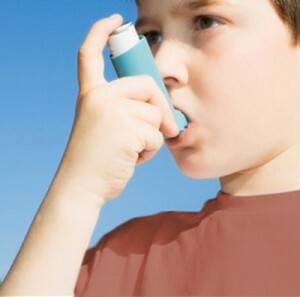 Asthma management by proper asthma medications and few lifestyle changes can make your child’s life comfortable. Asthma management: Here are few tips which will help in better asthma management & help your child live a normal life in spite of suffering from asthma. 1) Taking the right medicine in right doses at the right time: Based on regular monitoring of asthma, doctor will prescribe the asthma medications in required doses. Taking right medicine only in required doses helps prevent any side effects. Inhalers are of two kinds – those with medicines that have a short acting effect and those with a long acting effect. Parents should make sure that their kids always carry short acting inhalers with them. Also parents must educate kids to use short acting inhalers in case the child feels any symptoms like breathlessness. In case of toddlers or infants as they themselves can’t narrate their complaint, parents must be vigilant enough to notice early signs of asthmatic episode like any sound that can be heard while the child is breathing or persistent cough. 2) Exercise induced asthma: Whenever the child is involved in any vigorous physical activity like running or swimming he tends to breathe through his mouth. This leads to inhalation of dry cold air (the air passing through the nose is humidified). Cold dry air can induce narrowing of airways triggering an asthma episode. Quick relief asthma medications can be taken just before the start of physical activity. Along with this, the child should undertake warm up exercises like brisk walking for 5-10 minutes or stretching exercises. Animal Dander: If there is a pet it’s better to keep your child away from the pet as much as possible. Pet should be kept outside the house if possible or shouldn’t be allowed in the sleeping rooms. When allergic asthma doesn’t get controlled in spite of avoiding asthma triggers, child can be given allergy desensitization shots. This treatment is called as immunotherapy. 4) Nevertheless regular monitoring of severity of asthma symptoms and Lung functions is the most essential part of asthma management and treatment. Your Asthma Doctor may suggest filling up daily symptoms and medications taken in an Asthma Control Questionnaire to keep a watch on asthma in children. Two tests which may be advised for assessment of lung function by your doctor are Peak flow expiratory rate (PEFR), Lung function test or spirometry. Homoeopathy for asthma: Homoeopathic treatment for asthma in children is very effective so far as long term management and treatment for asthma is concerned. Homoeopathic medicines for asthma aim at bringing down the frequency as well as intensity of the asthma episodes. Some of the commonly used homoeopathic medicines for asthma are Natrum Sulphuricum, Kali Carbonicum, Blata orientalis, Corralium Rubrum, Ipecac, Antimonium Tartaricum and many more.